To understand the disturbing connection between San Bernardino schools and prison, consider this: Our school district is one of only two in California with a police force that can arrest students on criminal charges. 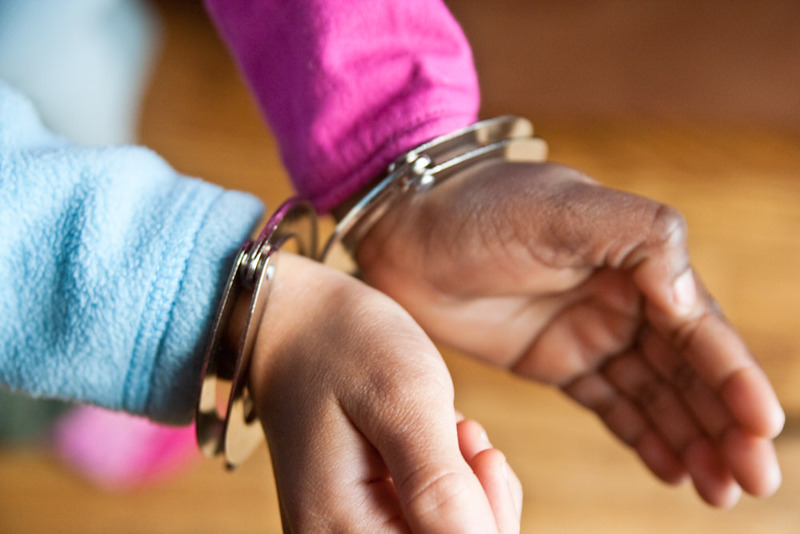 Over a 16-year span, from the time this wrong-headed policy was enacted in 1997 through 2013, school police in San Bernardino arrested and criminally charged close to 60,000 children. Of those, nearly 250 were under the age of 10. Many of these children have suffered consequences far beyond the nature of their original transgression. Those who didn’t go to prison often had fines levied against them; and in some cases those fines have dogged them into adulthood. Those who wound up incarcerated, even for a short time, faced steep odds for a turnaround upon their release. San Bernardino County is home to one of the nation’s largest formerly incarcerated populations, including people on probation and parole, as well as those who are out “free and clear.” That freedom is all too often short-lived: An unfortunately high percentage wind up back behind bars. I work with COPE, Congregations Organized for Prophetic Engagement, where our mission is to revitalize the communities in which we live, work, and worship. Right now, we are focused on the clear correlation between recidivism and education, or rather, lack of education. Nationwide, upwards of 70 percent of people who wind up back in prison never graduated from high school. Young children who are made to feel like criminals at school are in double jeopardy of not getting educated and becoming inmates. The path to keeping our kids out of prison is clear. We must start where the bottleneck begins—in school. Here in San Bernardino, the data shows that school discipline policies are failing our children, essentially priming some of them for a life in and out of prison. It’s time for an alternative path. Of course campus safety is crucial. I understand the complexities and challenges that many of our students and families face, and the limitations our schools and educators have to work with. Discipline is going to be a part of any school environment. But in taking punishment to such an extreme, have our schools stripped our children of their childhoods—that precious time when mistakes are a part of their development? Are we robbing them of the very thing that will help them make good decisions later on? Here in San Bernardino, the data shows that school discipline policies are failing our children, essentially priming some of them for a life in and out of prison. It’s time for an alternative path. Instead, we need to emphasize redemption and foster resilience. I know first-hand the power of such an approach from an experience in my own life, early in elementary school. Though it was decades ago, the memory is still strong. I was in first grade, and my friends and I decided to ditch school and hang out in a neighborhood park. We were caught and sent to the principal’s office. I was heartbroken that we had misbehaved and concerned that we would never again be considered “good kids.” I braced myself for the dreaded paddle, possibly combined with a few days of suspension. But that’s not what happened. Instead, the principal expressed care and concern, patiently explaining why our actions were unsafe. My shame at violating the rules was now mixed with surprise at not being punished. The principal knew that we could recover and be restored to good standing. Any sense of defiance that might have been brewing inside of me vanished, replaced with gratitude at being seen and understood. Perhaps this example sounds trite, too innocent to be taken seriously. It’s hard to believe that playing hooky might be treated as the first step in the career of a child-criminal. Unfortunately we’ve reached a point in our schools where such a lapse in judgment—or more likely a lack of developed judgment—is met with harsh punishment, a “nip-in-the-bud” approach. Now, opting for the playground over the classroom can mean a costly truancy citation, and fighting or stashing a small pocket knife can get a child arrested. It’s time to take a step back, to nurture that bud so it can bloom. 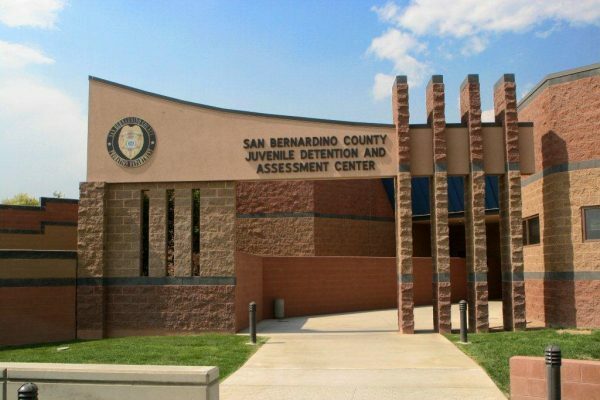 San Bernardino Juvenile Detention and Assessment Center. Redemption wasn’t a word I knew at that age, but if I’d looked it up in the dictionary I would have discovered that that’s what the principal did—he made something that was bad or unpleasant better or more acceptable. For far too many students—primarily children of color—discipline is seldom redemptive. And in San Bernardino it’s quite literally expensive. One COPE parent leader has a son who was cited and fined for a middle school fight. The leader tells me she was unaware of her son’s fine, which started at around $500. It went unpaid and continued to grow. Years later, before he graduated from San Bernardino City Unified, and went to get his driver’s license, his application was rejected. The reason? The unpaid fine. Unresolved citations can also derail students’ plans to enlist in the military and disqualify them from certain types of internships and jobs. San Bernardino’s current struggle to recover from bankruptcy is all the more reason to shift the emphasis from punishment back to education—it costs the county $144,000 to incarcerate a child for a year, nearly thirteen times what it spends per child on education. immediately, will mean that when students violate curfew, loiter or get caught up in a non-injury fight they will be referred to an administrator for positive behavior support, restorative justice or other corrective action. And there’s a greater effort to ensure parents know what’s going on. This is an important first step, but it is just a first step. San Bernardino city and school district leaders need to address the needs both of those in school now, as well as those who’ve been harmed by the previous system. We need to start helping them get the education that they missed, find jobs, and get these fines and “crimes” erased from their records. Right now that burden falls almost entirely on their families, which can take a heavy toll. As the daughter of a longtime substance abuser who was in and out of prison, I understand the costs. I’ve often drawn strength and comfort from friends and family members in similar situations. But over the longterm families struggle to provide emotional and financial support. We pay dearly to help ensure our loved ones don’t wind up back to prison. And many families are facing a multi-generational struggle—a child of an incarcerated parent is three times more likely to be incarcerated themselves. At COPE, our members often step in to provide food, housing, emotional support, and even help with basics like getting an ID card. The resources out there are minimal, and that needs to change. The progress we’ve made with the school district is encouraging. We know we have the power to engage them. That’s the beauty of the evolution of our organization: Our growing credibility and visibility. 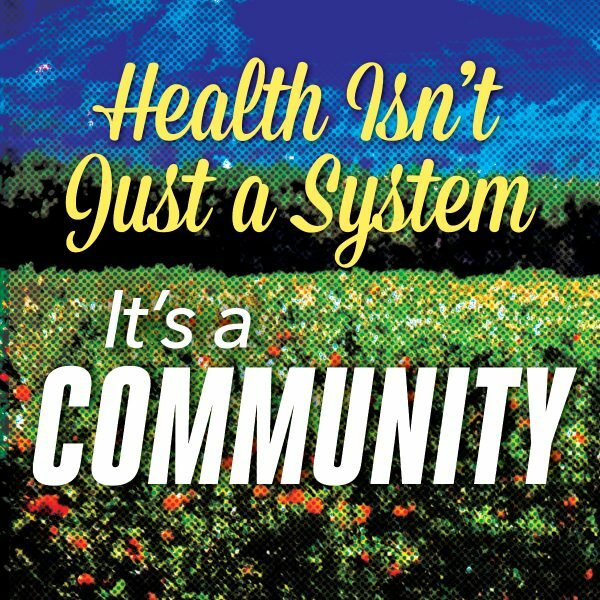 Now we are looking to the next step—helping our kids and our community with sustainable change. *Lead photo by Steven Depolo/Flickr. Interior photo courtesy of San Bernardino County.